"Diversity in Disaster": The First 72 Hours. Disaster preparedness for faith-based communities. A FREE Disaster Preparedness Summit for the leaders of faith-based and civic organizations and diverse communities will be hosted in Atlanta by The American Red Cross and Joseph’s Network in partnership with Faith Alliance of Metro Atlanta (FAMA), Islamic Speakers Bureau, and The Disaster Group, Inc. This half-day event encourages leaders to network amongst diverse and multi-denominational faith and civic groups, establish relationships with disaster response agencies, and learn how to be an involved community partner in times of disaster. See Khabar's report on the last similar event here. Time: 8:30am – 1 pm. Venue: The Temple, 1589 Peachtree St NE , Atlanta, GA 30309.
or Carisa Hettich of the American Red Cross, Carisa.hettich@redcross.org, 404-575-3177. 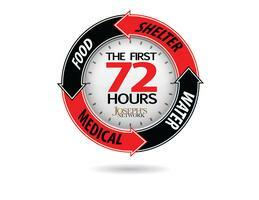 About Joseph’s Network: The Joseph’s Network is a nonprofit organization comprised of churches, community, and business organizations working together in a time of disaster.